I have been experimenting with a coconut chicken curry in my slow cooker having picked up a can of light coconut milk at Trader Joe’s. Apparently it’s made from the second pressing so it’s lower in fat that regular coconut milk. I came across a recipe by Salt and Paprika that looked very promising. 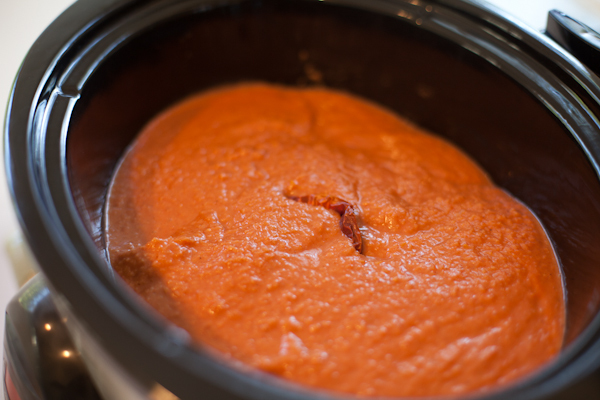 Not only did it use the slow cooker but it gave me a chance to use my new KitchenAid food processor – a two for one deal in the limited gadgets I have in the kitchen. Super easy to prepare but just a little long in the slow cooking department – if we weren’t going to sit down until 10.30pm – I had to adapt. I would highly recommend making up a large pot of this for a movie night in – A Passage to India would be a good choice – not that I’m biased or anything. Yes, you could track down a copy of a Satyajit Ray film and be entranced by the magical cinematography and direction, and if you’ve never seen any of these masterpieces you really should. But I wanted something that represents the Anglo-Indian cuisine brought back to England, that is the basis for cooking curry at home using ready made spice mixes such as Garam Masala. Scenes of the British Raj having tea on the lawn in white dresses juxtaposed with the real India of busy market places and exotic spice stands. 1. Break down the chicken into wings, thighs and breasts. I removed the skin from the thighs and breasts, cutting the breast meat into large pieces. Place all the chicken meat into the slow cooker. 2. Place the onion, garlic, yellow pepper, ginger, tomato paste, coconut milk, salt, Garam Masala and Sambar in the food processor and process on high until you have a thick sauce. 4. Transfer the curry to a large saucepan and cook on high heat for about 20 minutes. This not only reduces the sauce and brings out all the flavors it also means there’s no need to add any thickening agents such as corn flour. As the sauce is reducing you can cook the rice. 5. Serve the curry over basmati or organic brown rice or if you are like me and trying to cut down on grains/carbs eat as is – super satisfying in and of itself. Lucy, I too adore Indian food so thanks for sharing your take on chicken curry. 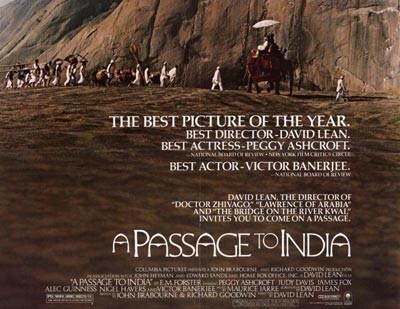 Also, I’ve seen so many films on India but somehow missed “A Passage To India” — I’m adding it to my Netflix queue now! It’s also available on Amazon Prime to download for free but I haven’t quite figured it out – plus I can’t get it on my iPad. Enjoy! So glad you got your husband to “turn the corner”. 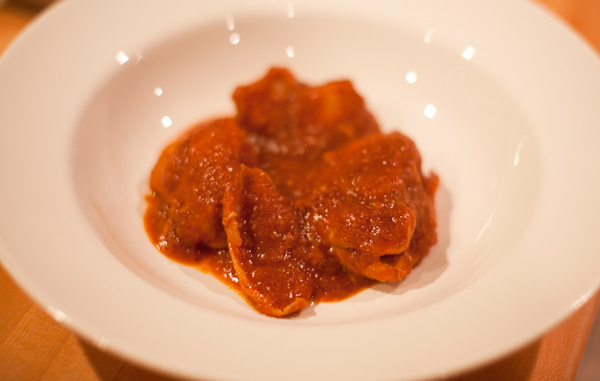 We love a good curry in our house and this one looks like something we would devour! Unlike a lot of other curries this is healthy – we all gobbled it up. I need to watch the movie & enjoy this curry ~ at the same time of course! It’s on AMC this week – I think on Thursday!